I was at my home away from home today . . .
Can you relate? Of course, the first place I head to is the dollar spot. I have to see if they have added anything new that I might need since the last time I was at Target. Today there were witches fingers. 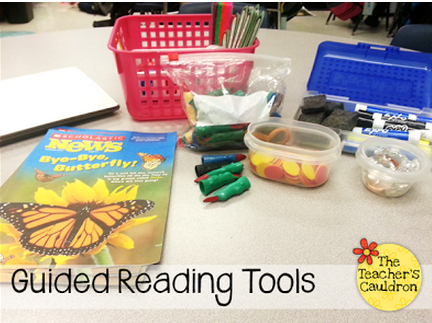 I love to stock up on these because they are the perfect teaching tool. There is something magical about them. When a student slips them on their finger, they suddenly begin to track their words better. I also like to stock up on werewolf fingers, too. Target doesn’t carry them but the Halloween Spirit store does. I call them wolf fingers and use them with my fairy tale units. Today I also got a nice surprise. 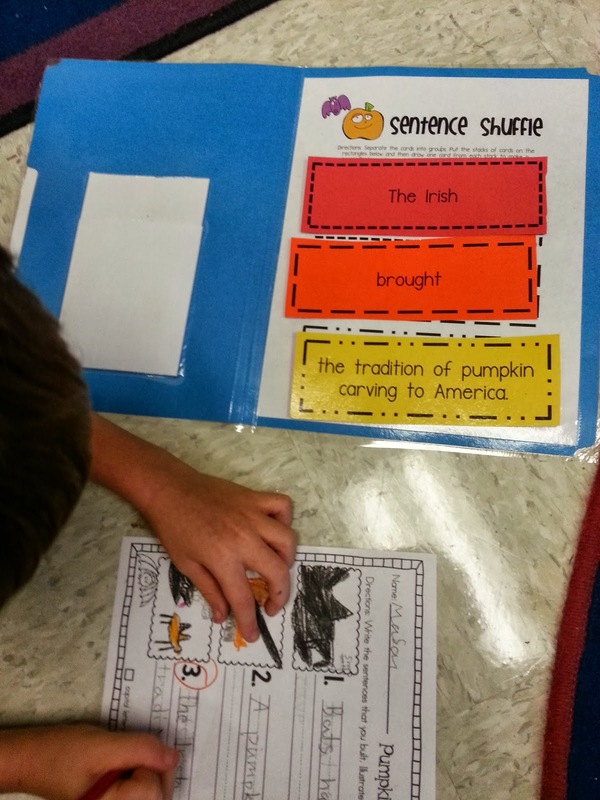 Jen @ The Teacher’s Cauldron emailed me a picture of one of my Sentence Shuffle packet being used in her class today. I love to see my lessons in action! She was nice enough to give me permission to share the picture with you. I love how she organized it into a file folder game. 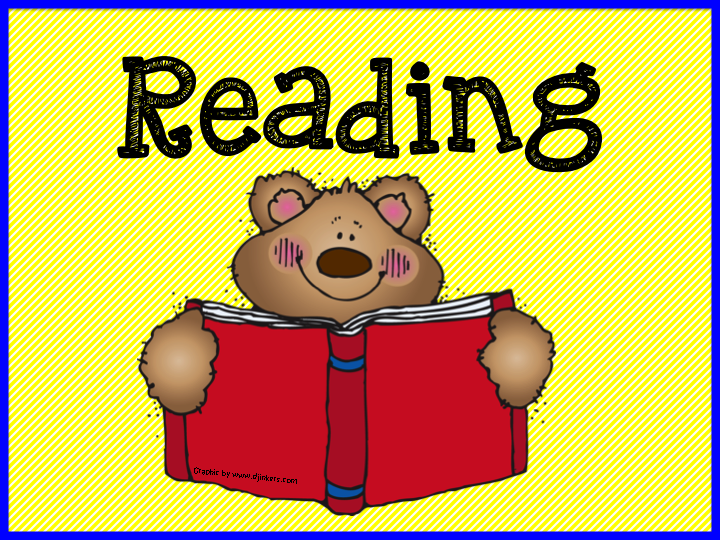 Are you looking for some new ideas to use with your reading groups? Jen wrote a blog post that has a TON of fun ideas. Go check it out! I am going to give away one of these packet on Friday. 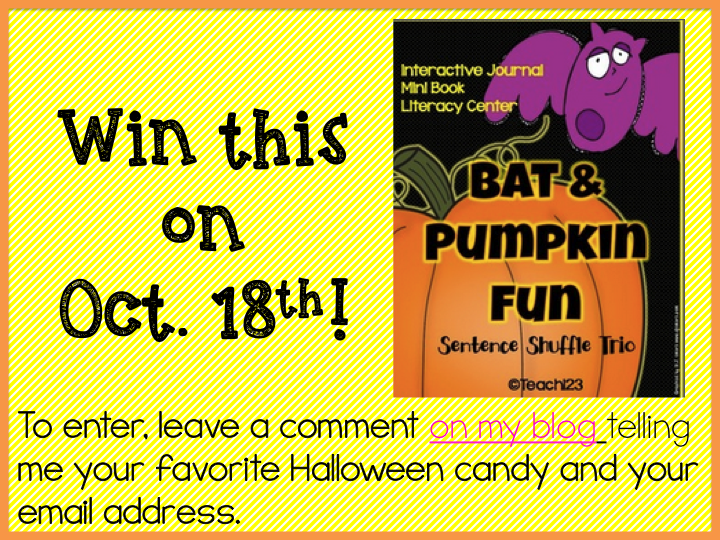 To enter, leave a comment below telling me your favorite kind of Halloween candy and your email address. Candy corn is hands down the best!!! Yay! I love it! I really do love yoru sentence shuffles! I like Hershey bars with almonds! Take Five bars are the best! Most any chocolate Halloween candy will work for me, but I almost always eat Butterfinger. That's one of my favorites, but I eat it only at Halloween because it sticks to my teeth so badly. My favorite Halloween candy is the new candy corn salt water taffy!!! Reese's anything! LOVE peanut butter! Equal love goes to snickers, m&m's and peanut butter cups! So many choices! Reese's Peanut butter cups! Reeses Peanut Butter Pumpkins, I love the texture of the peanut butter! And I also love caramels but with a crown I'm not allowed to have them. Not much of a chocolate lover and yup I know that's weird so caramel apples or popcorn balls. I would go with candy corn as my favorite Halloween candy, even though you can buy it year round nowadays. Great thing is that after about five pieces, I'm done! I love miniatures of the Hersheys Dark Chocolate.Kids don't like them so it saves them all for me! Can I get a woot woot for kit kats–yum! Candy corn and peanuts together is the best! I love candy corn also.